Get Top Dollar For Your Home—and Sell It Faster! Are you a homeowner, investor, or builder selling your home or getting ready to sell it, whether occupied (lived in) or vacant? Do you want to get the most money for your house and sell it quickly without price reductions? 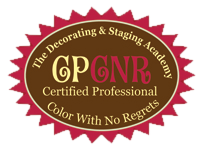 We specialize in NJ vacant home staging for investors and homeowners plus staging and color consultations, decorating and design advice for occupied homes in NJ. Home staging is a relatively inexpensive marketing tool that can get your home sold quickly and for top dollar. If you've already moved out, you know the longer your home sits on the market, the less interest it will get from buyers, and the more costs you will pay in maintenance and taxes. A home’s overall presentation has the power to either positively – or negatively -- affect how quickly a property sells and at what price. Staging can help overcome a poor location, small or awkward room sizes (rooms furnished with the right size and style of furniture look bigger and better), and to some extent, a property that may be priced a bit too high (but pricing correctly is always critical). Professional staging usually results in increased online interest, more buyer traffic, and significantly better offers. According to RESA, the Real Estate Staging Association: Once staged, homes spend 73 percent less time on market than un-staged homes. Homes staged prior to listing sold in 42 days on average. If you live in northern New Jersey or southern New York state, I can help you get your home as model-ready as possible, so that it fetches top dollar and sells faster.